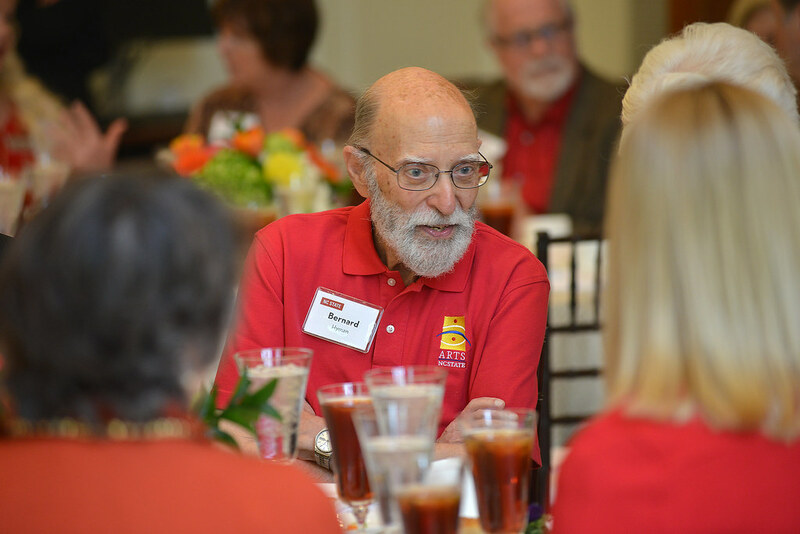 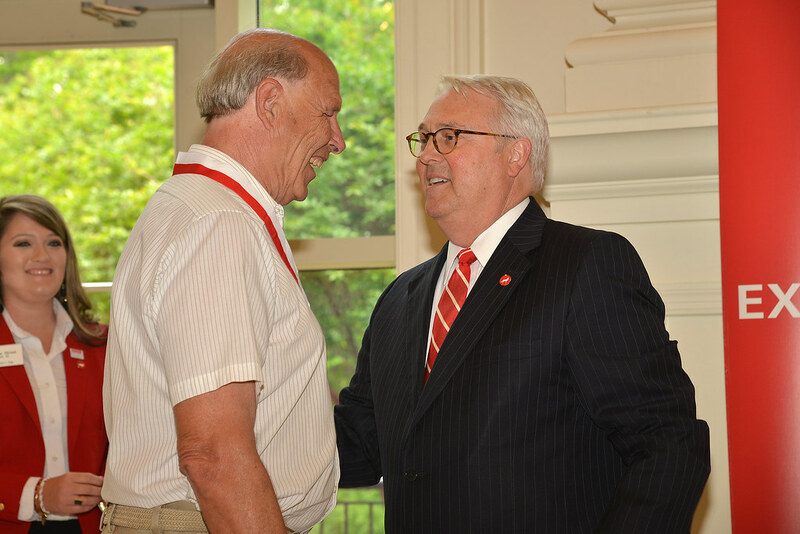 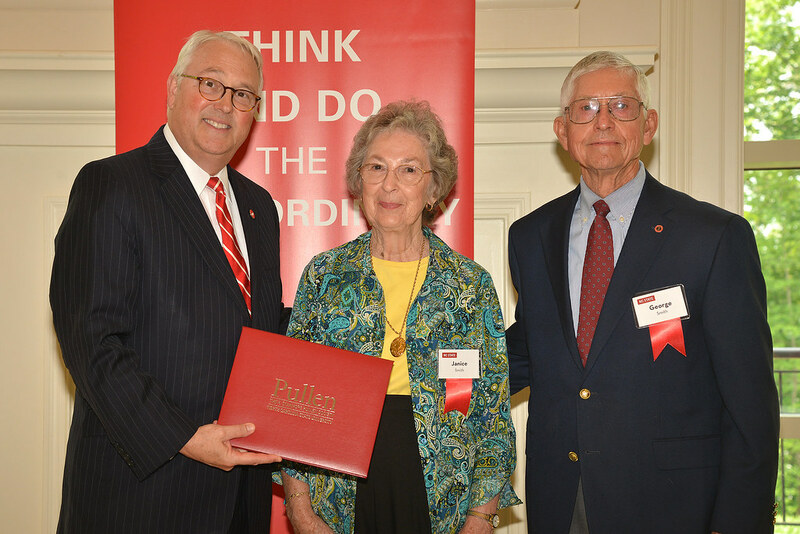 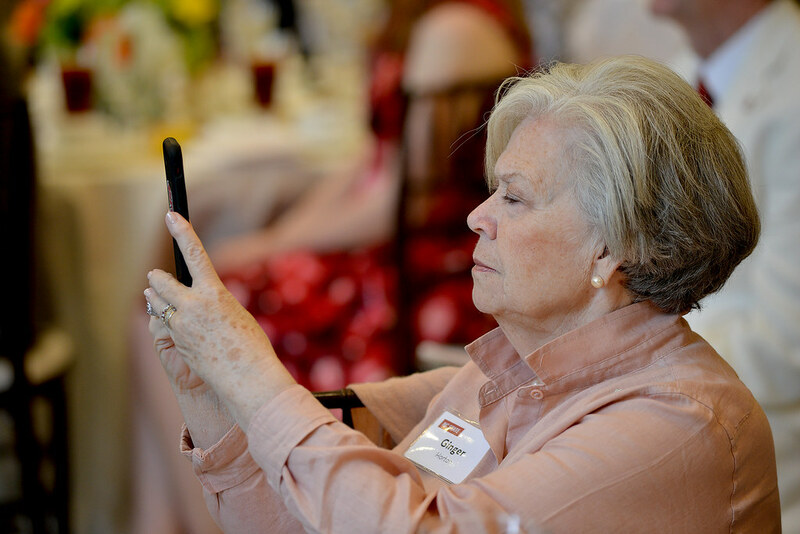 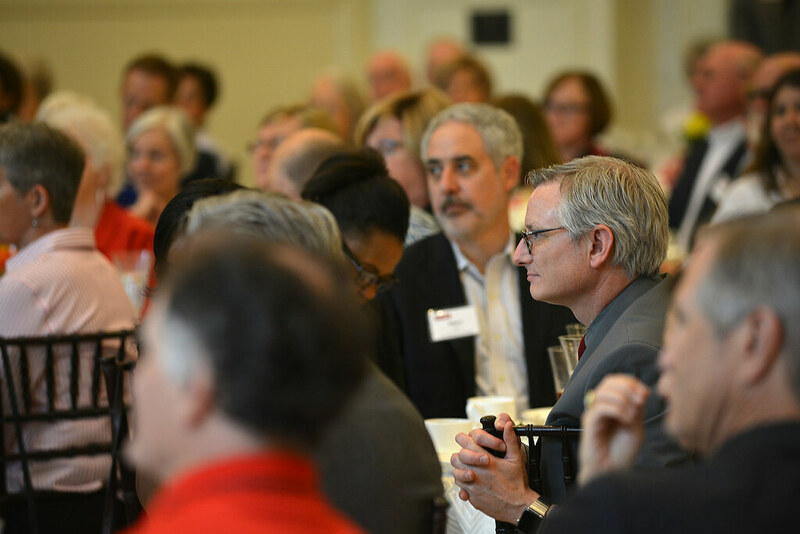 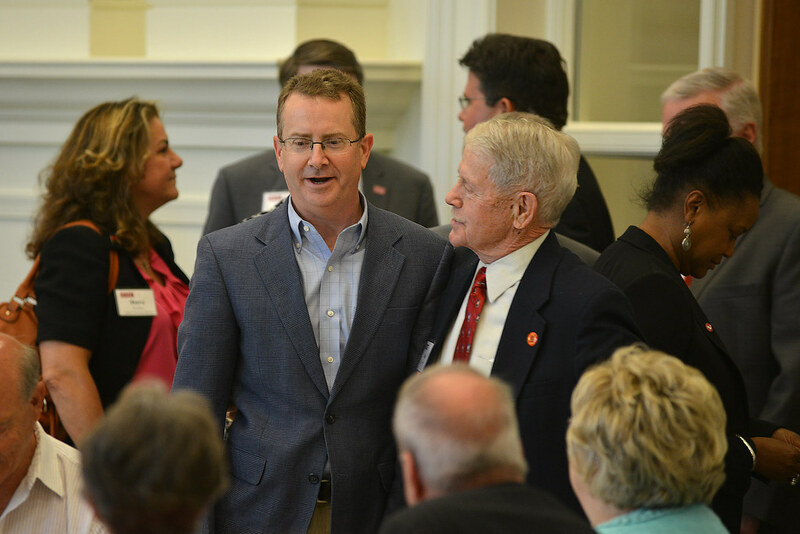 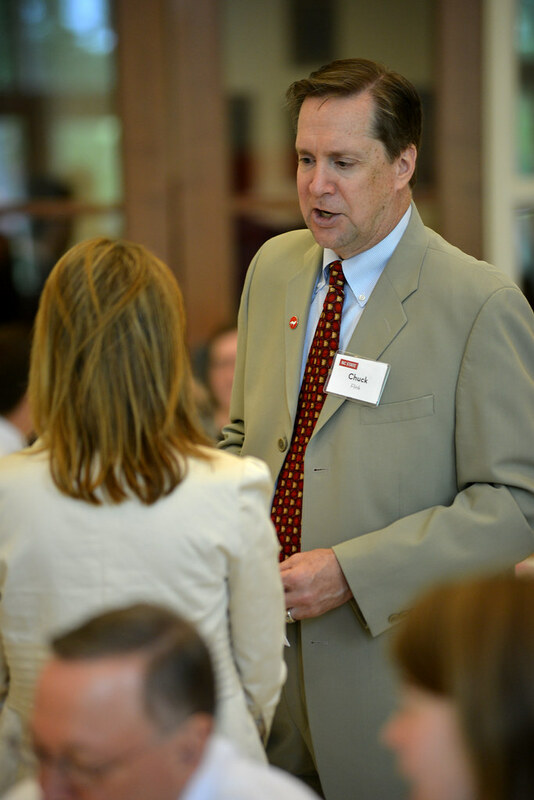 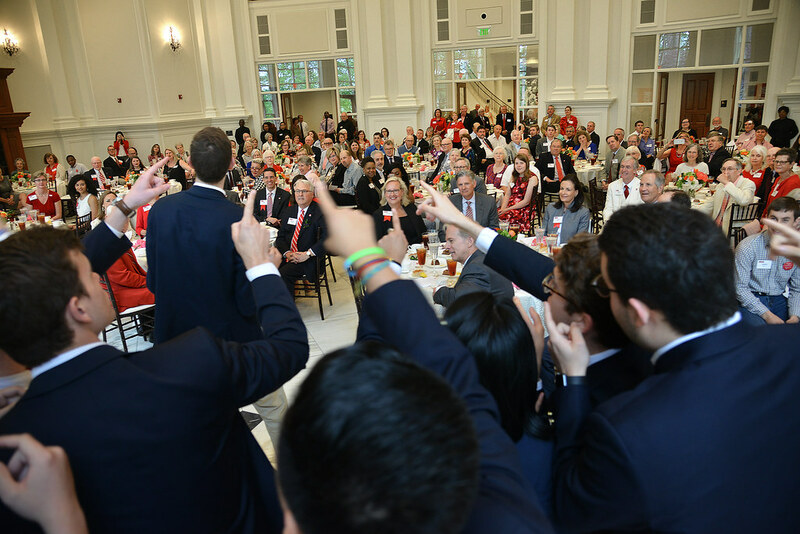 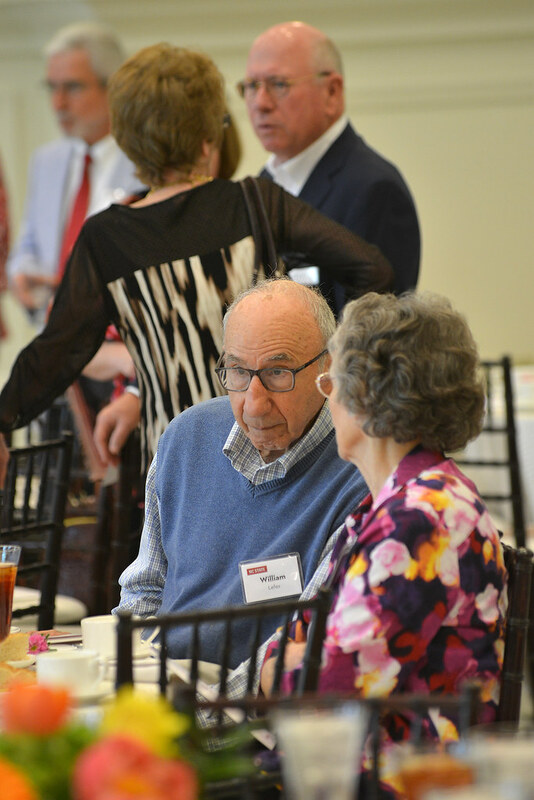 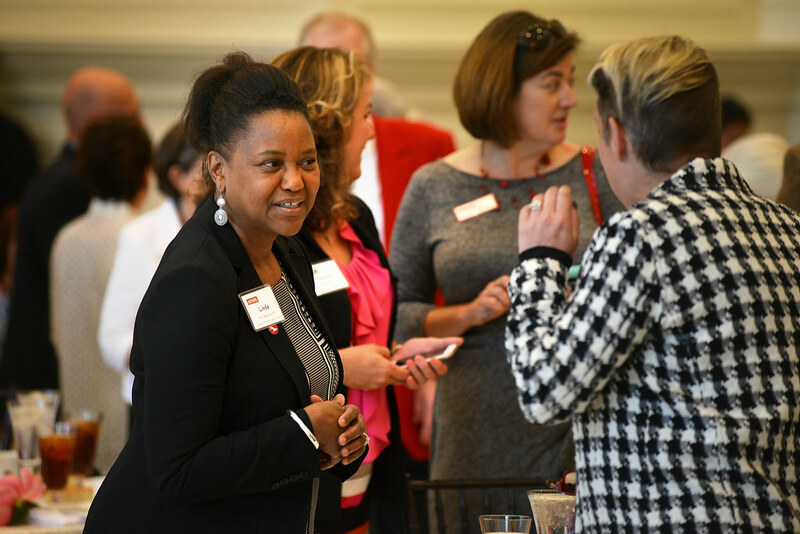 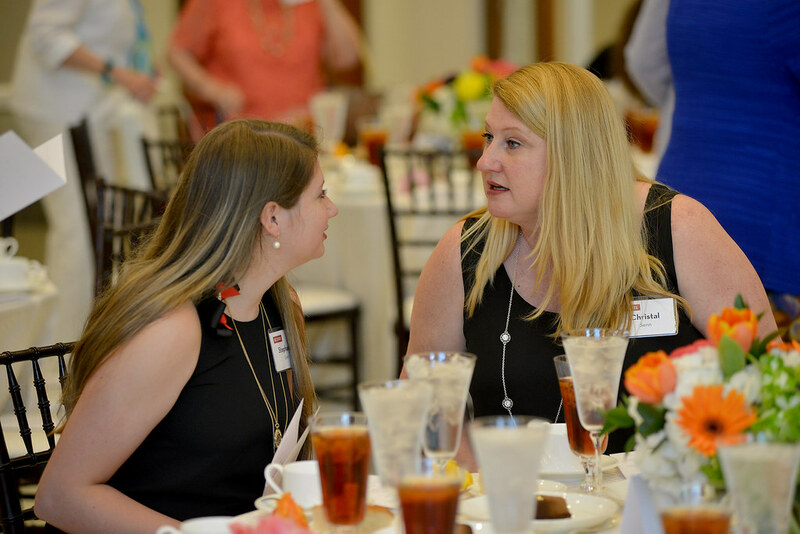 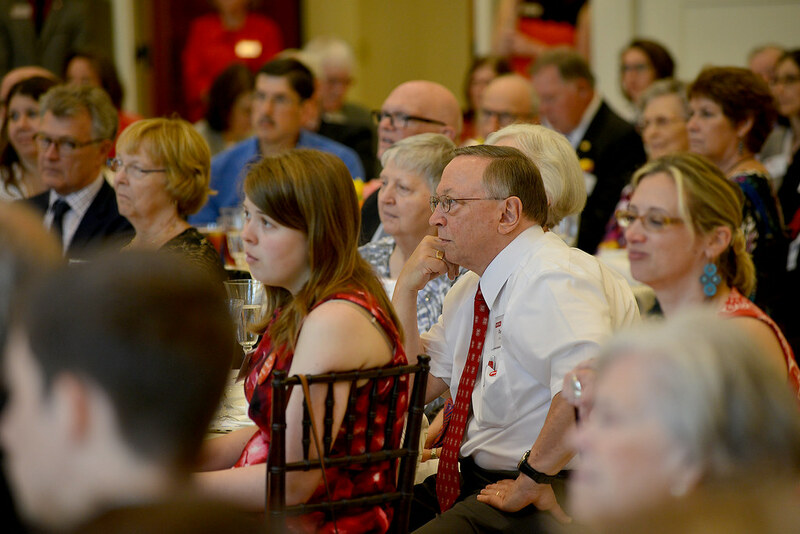 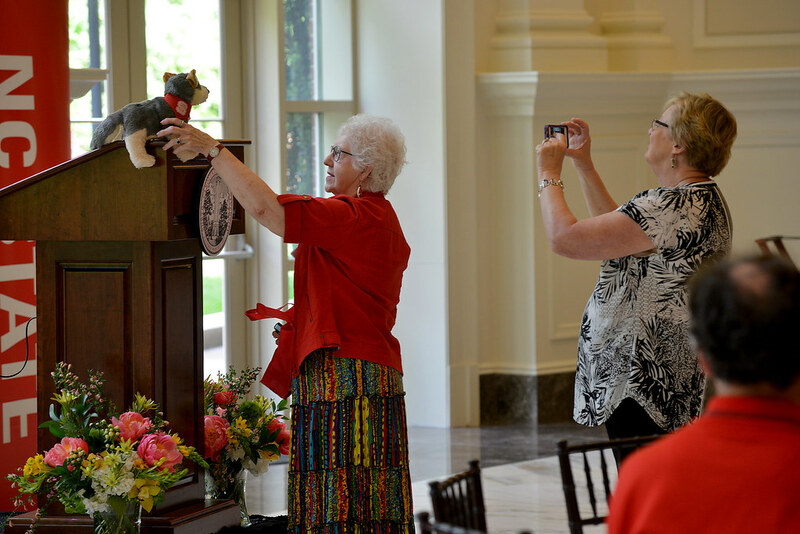 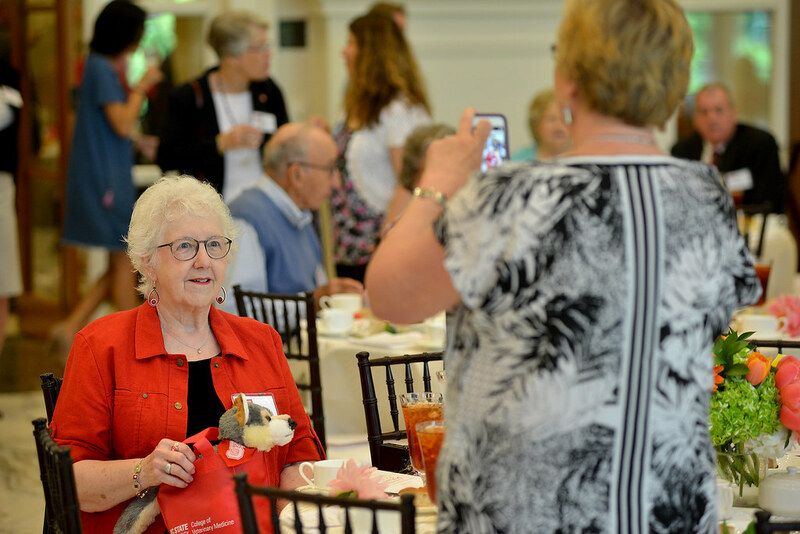 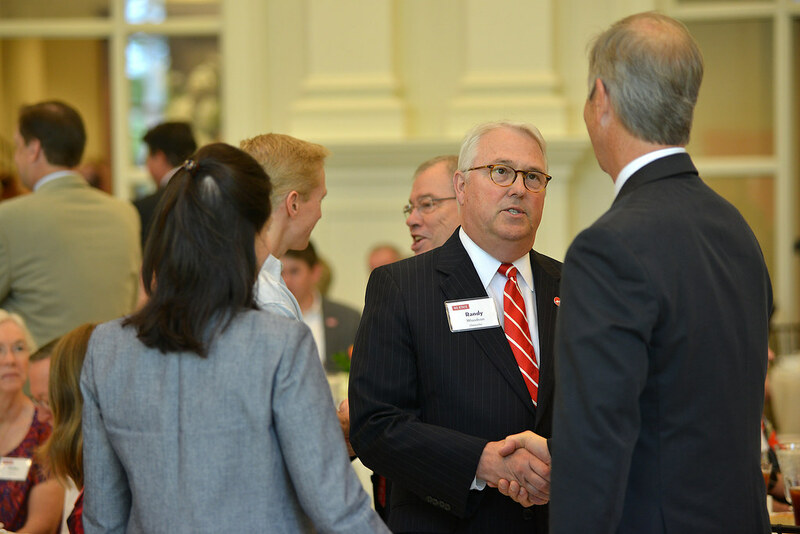 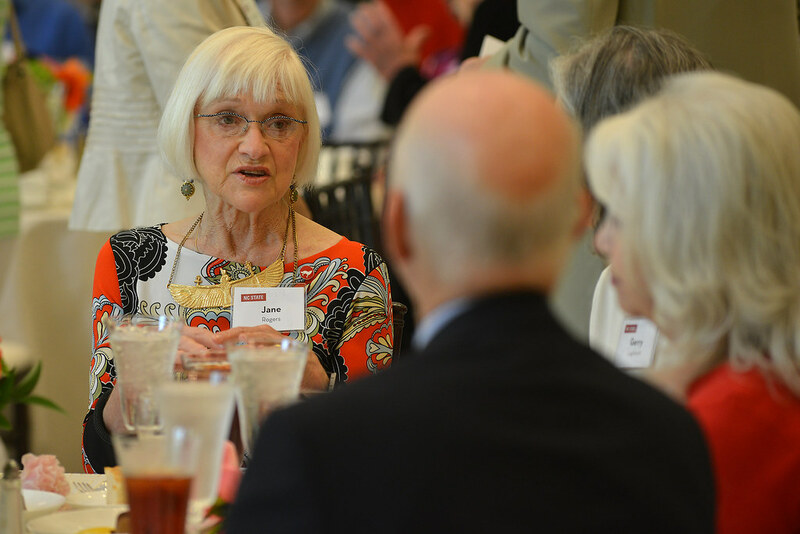 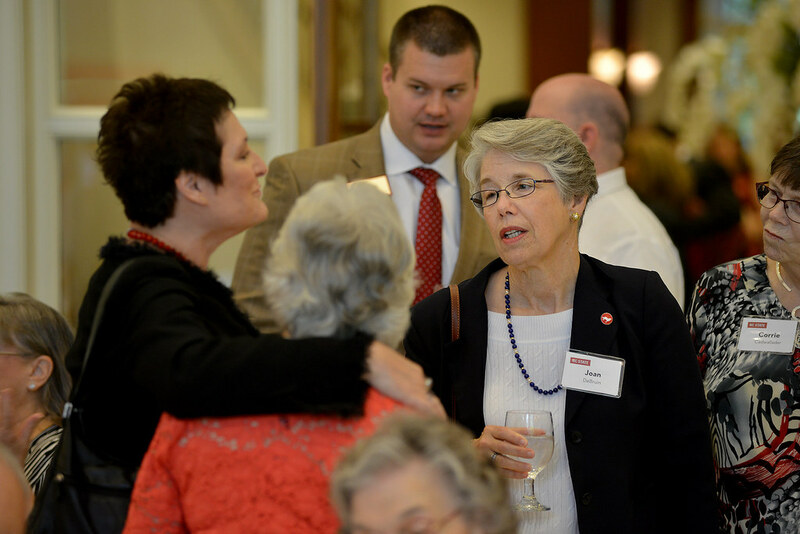 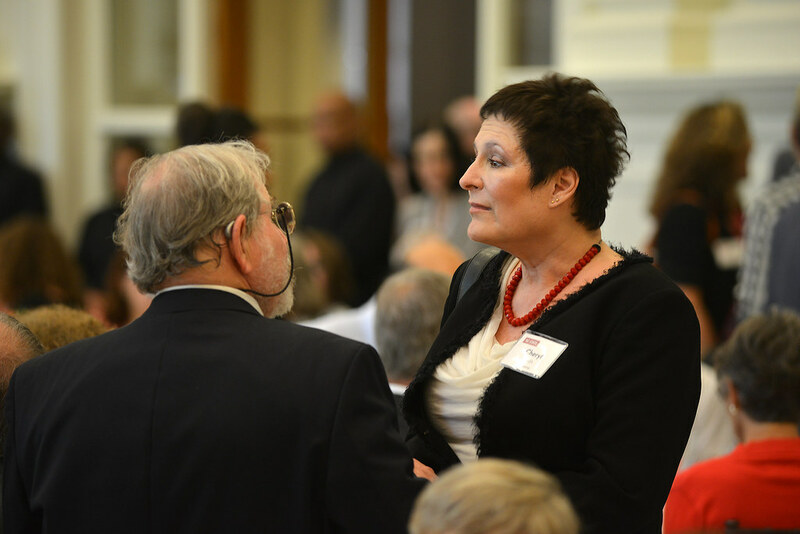 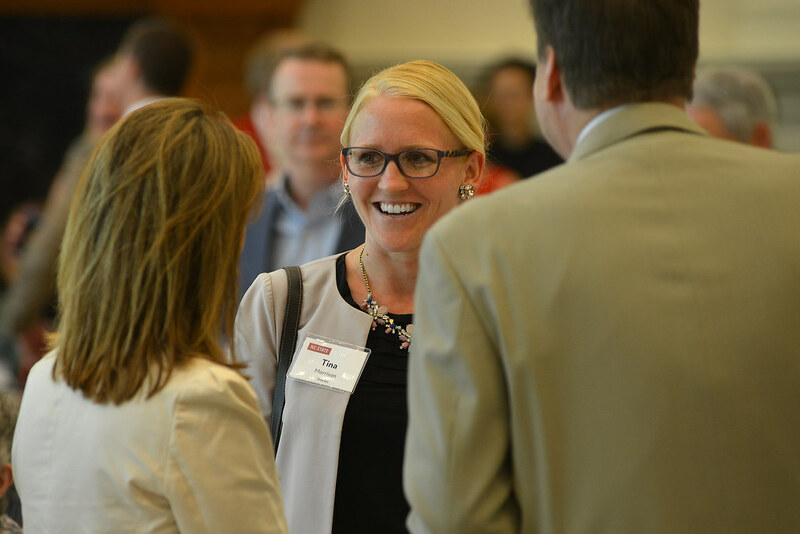 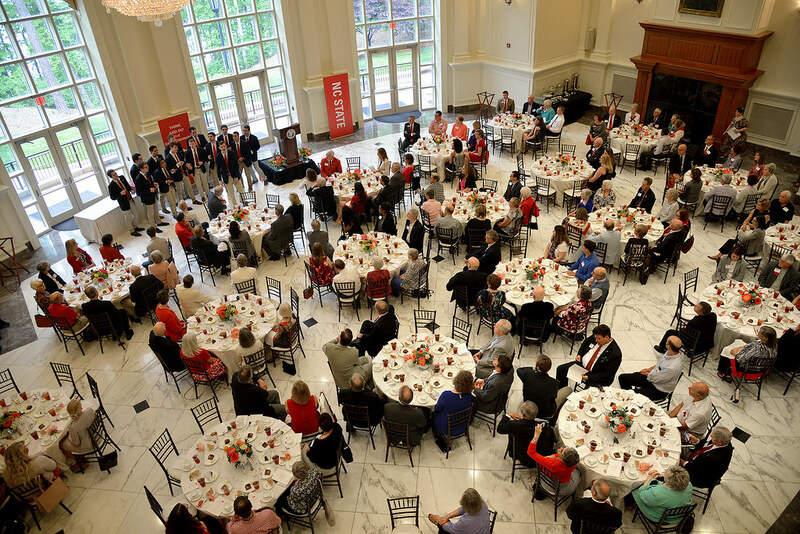 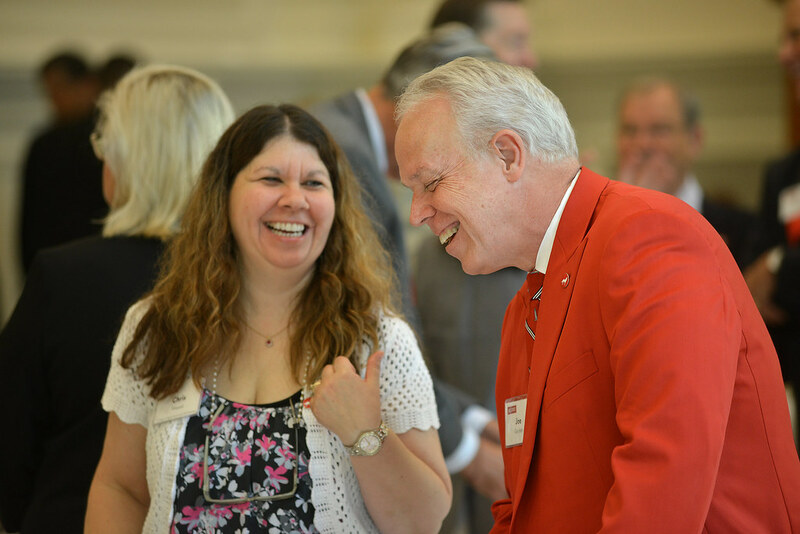 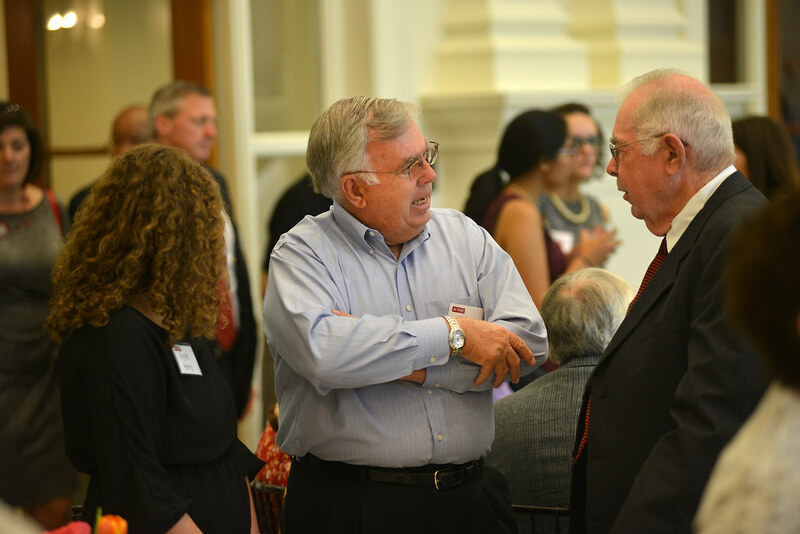 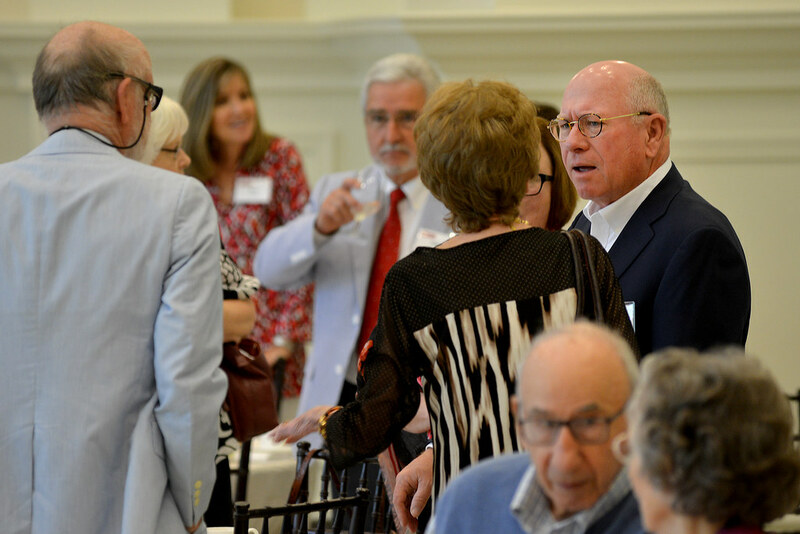 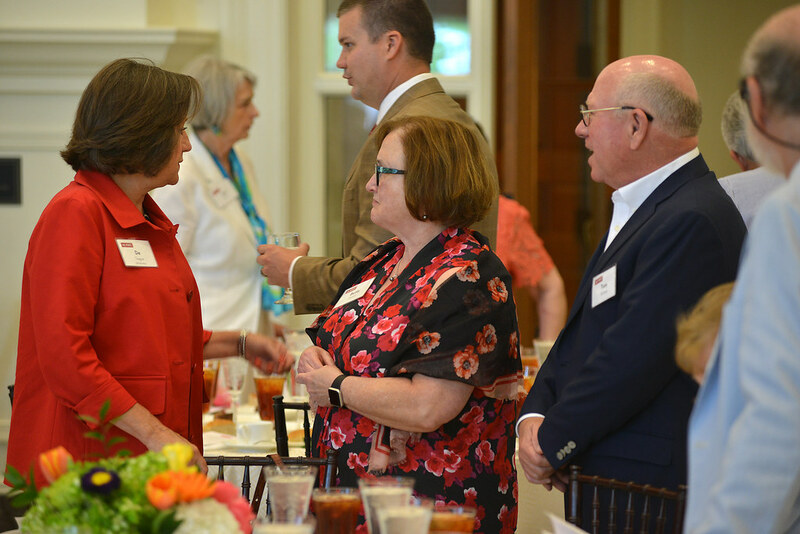 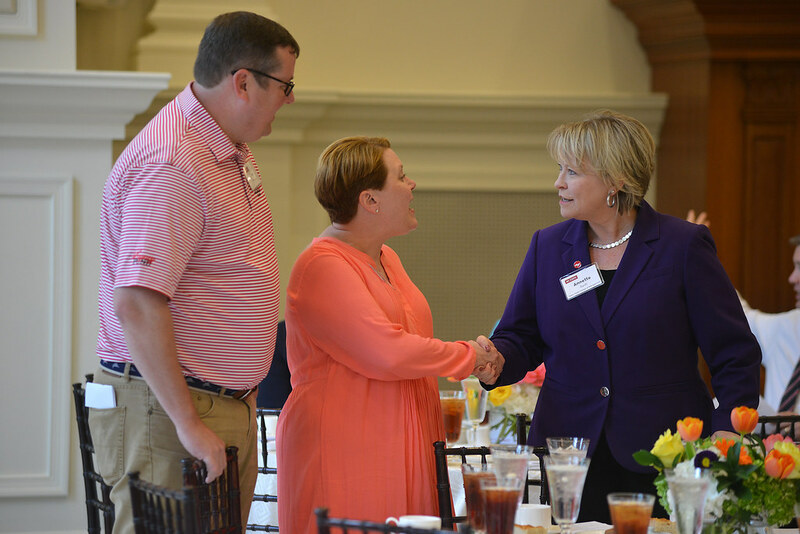 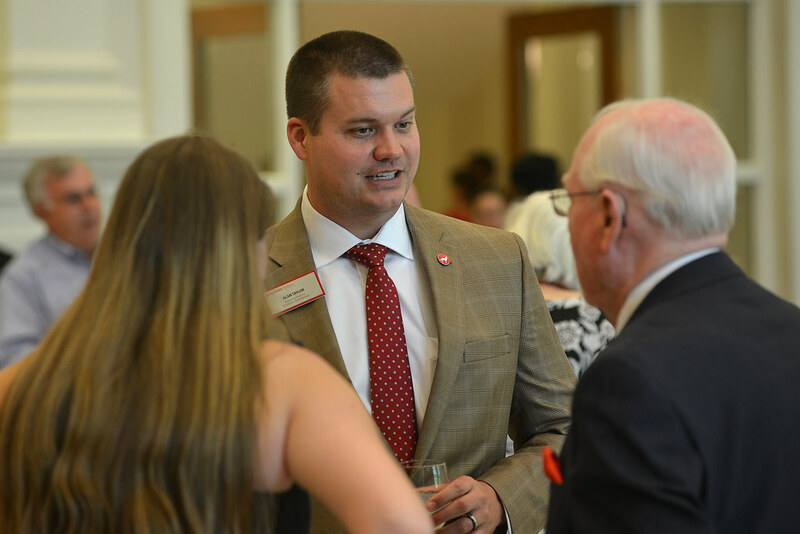 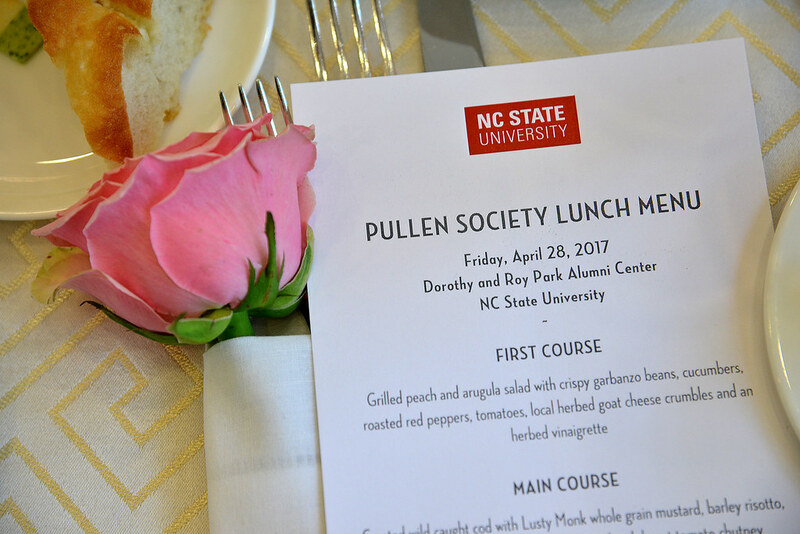 NC State University welcomed 50 new individuals and couples into the R. Stanhope Pullen Society during the group’s annual luncheon at the Dorothy and Roy Park Alumni Center on April 28. 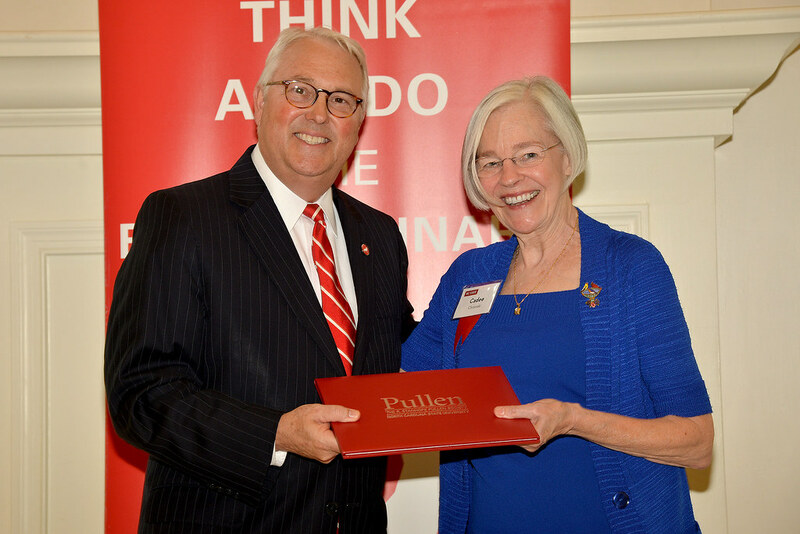 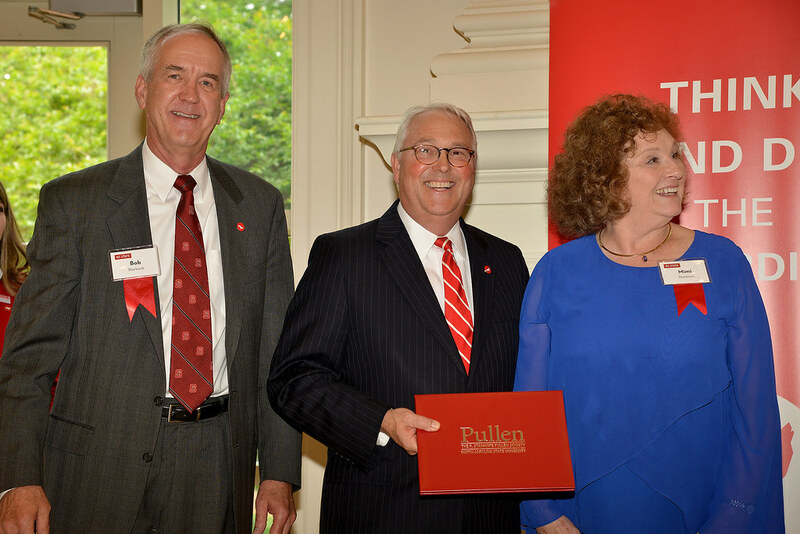 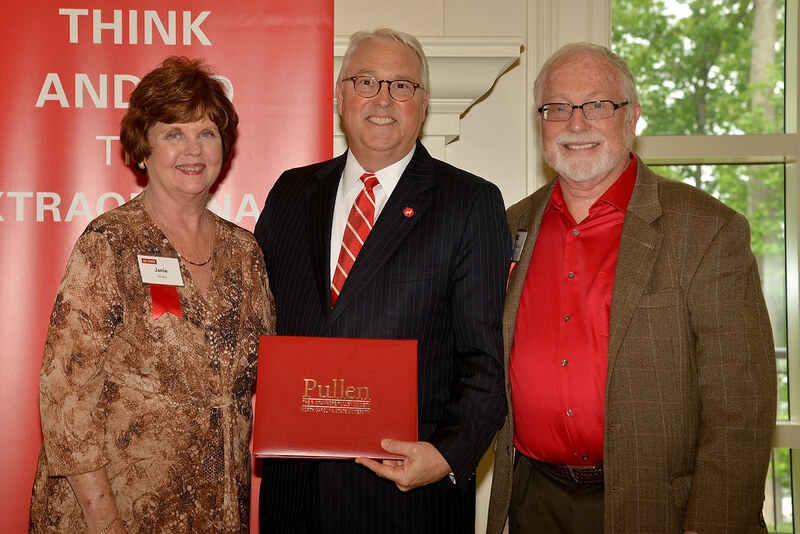 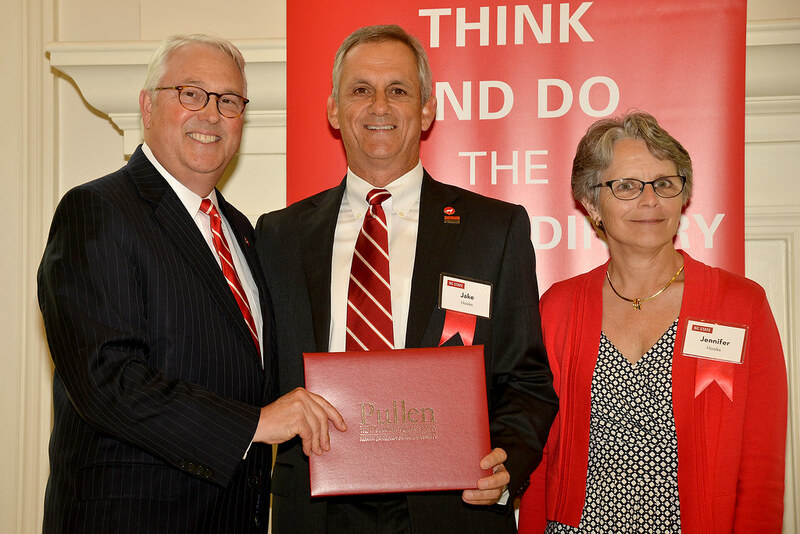 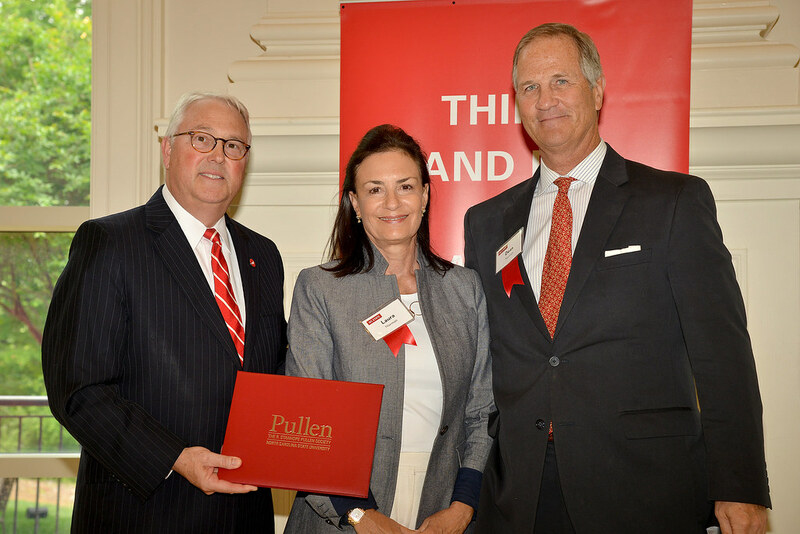 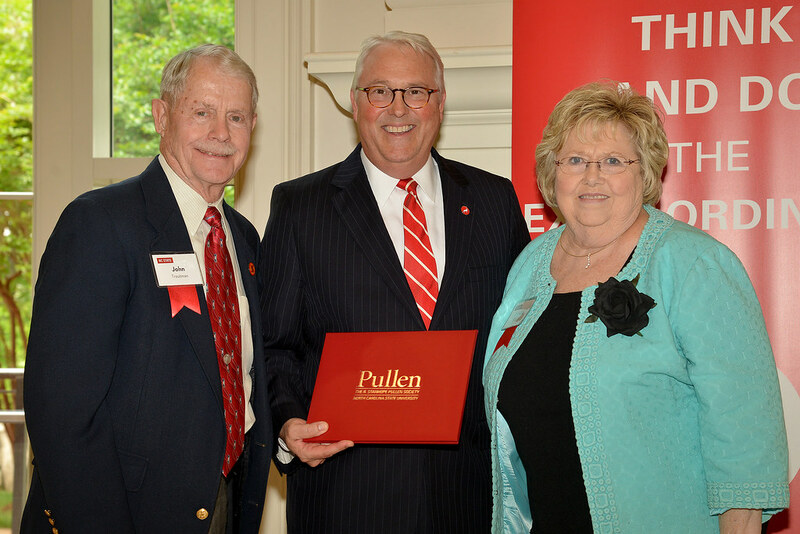 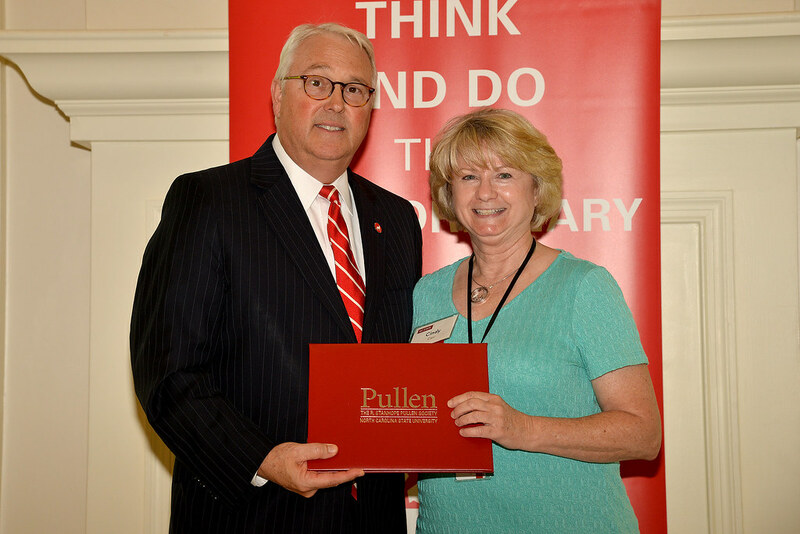 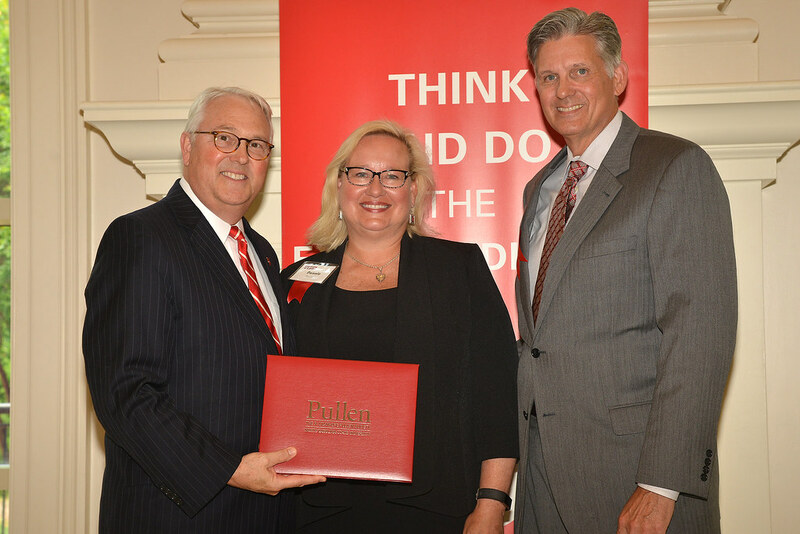 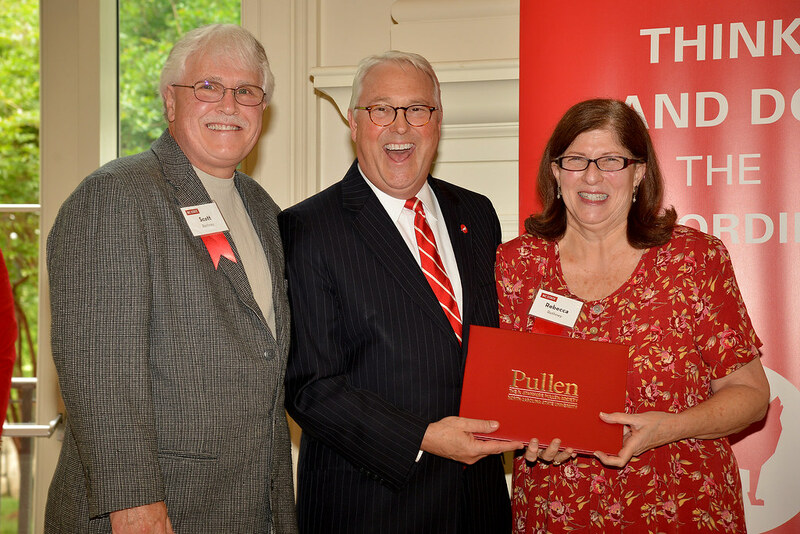 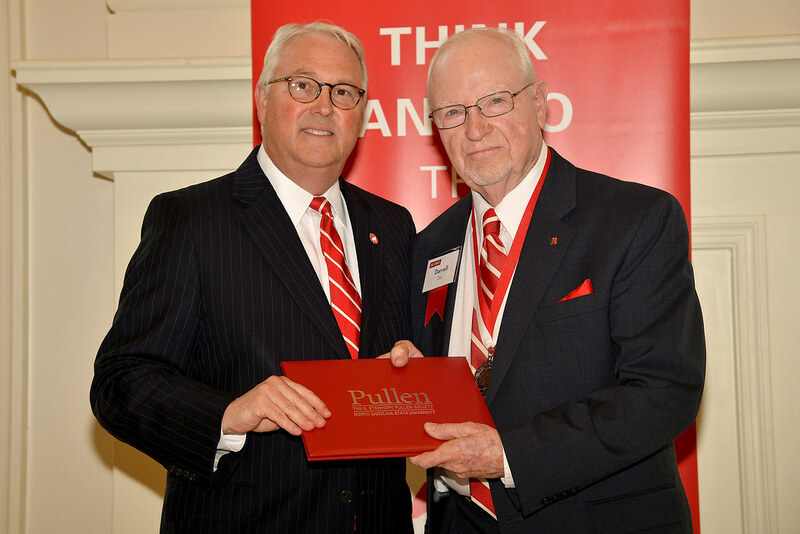 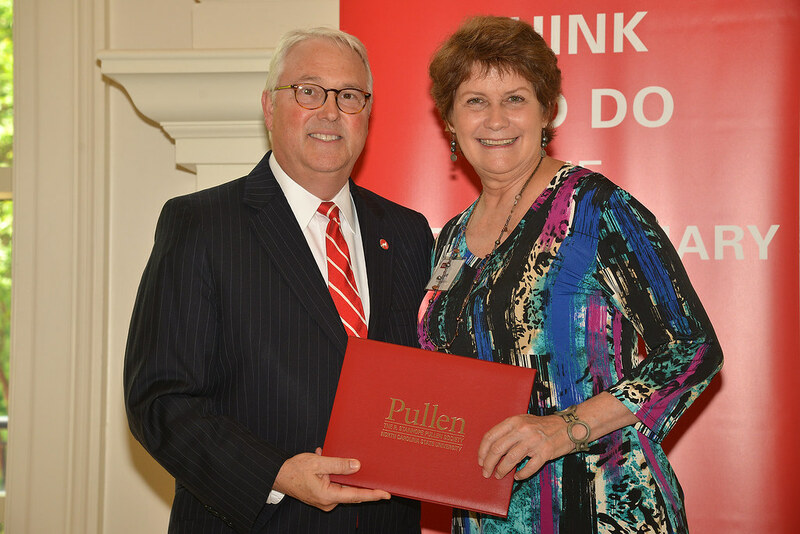 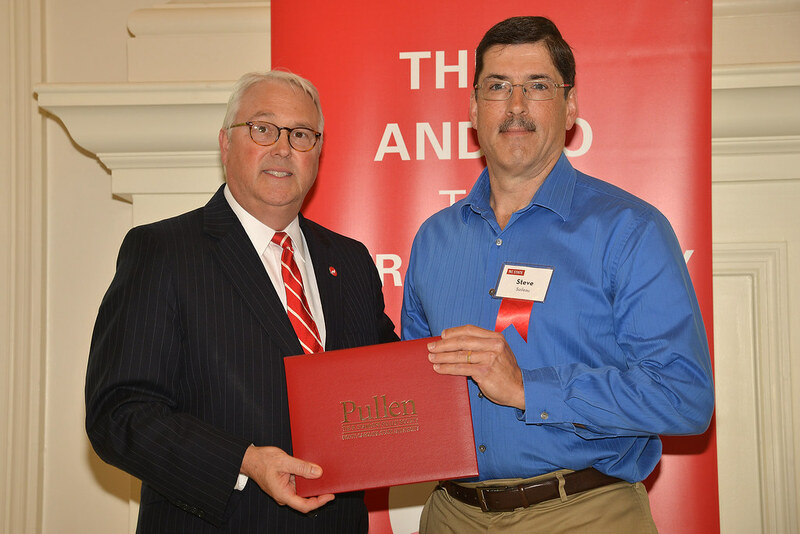 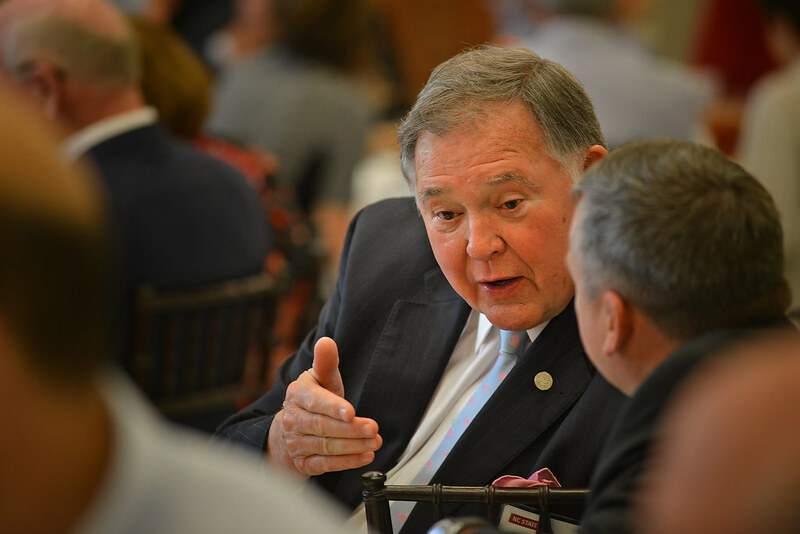 Established in 1993, the Pullen Society — which has more than 1,300 members — recognizes those who support the university’s future through deferred gifts such as charitable remainder trusts, gift annuities, life insurance and will bequests. 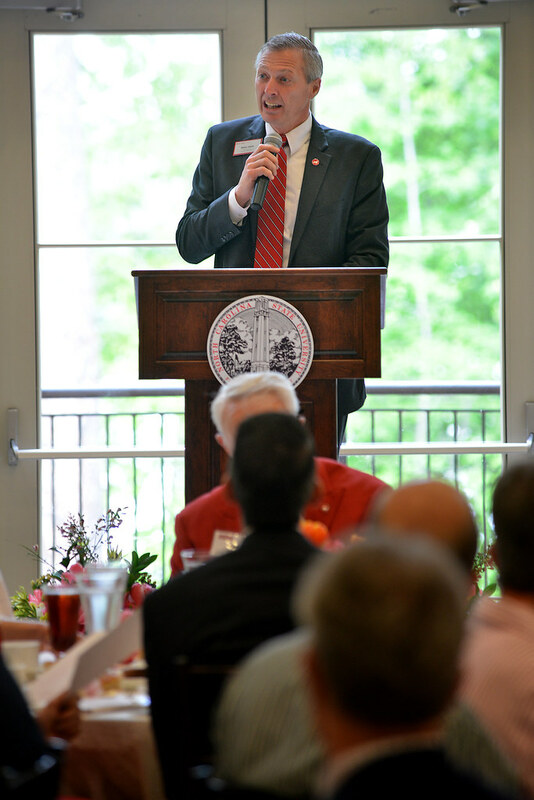 The society’s namesake donated the original 62 acres for the development of NC State’s campus. 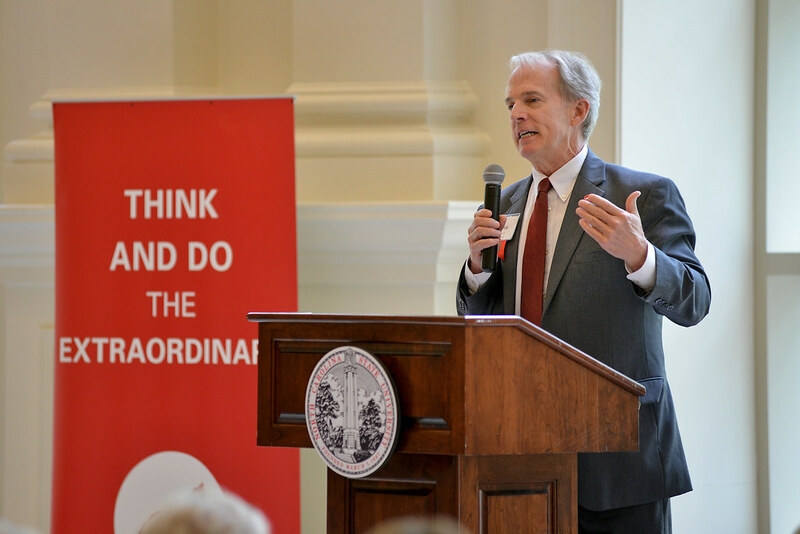 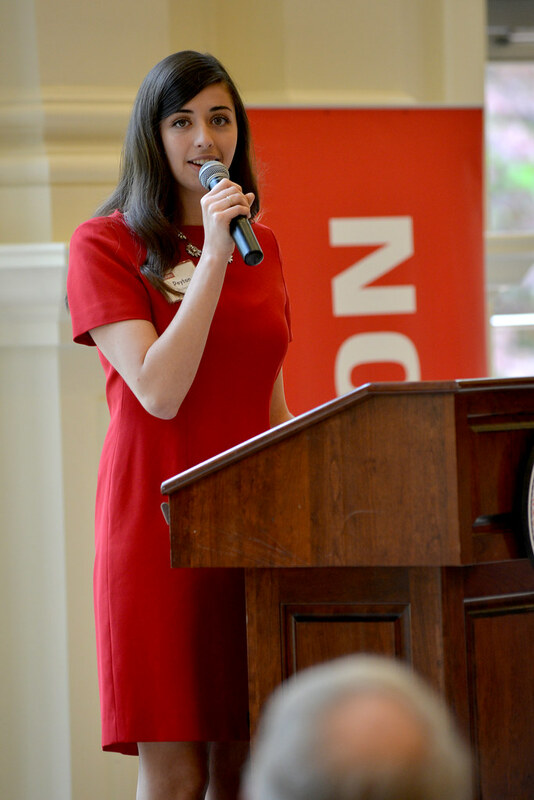 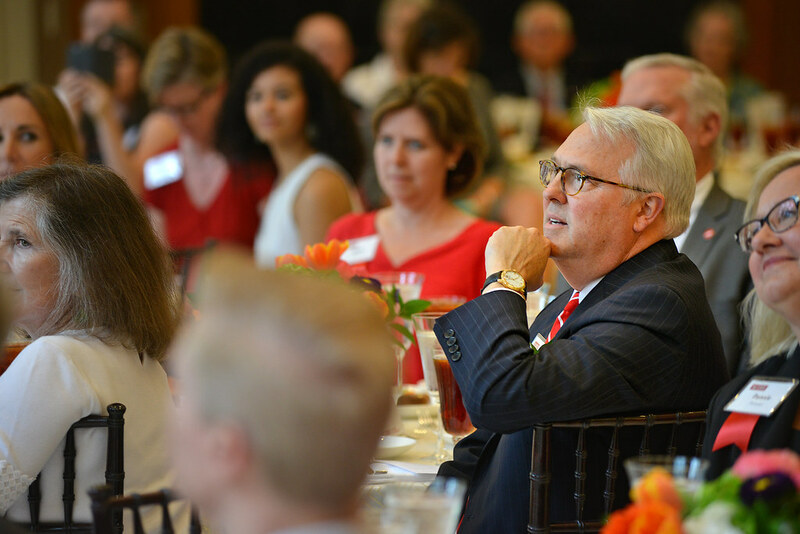 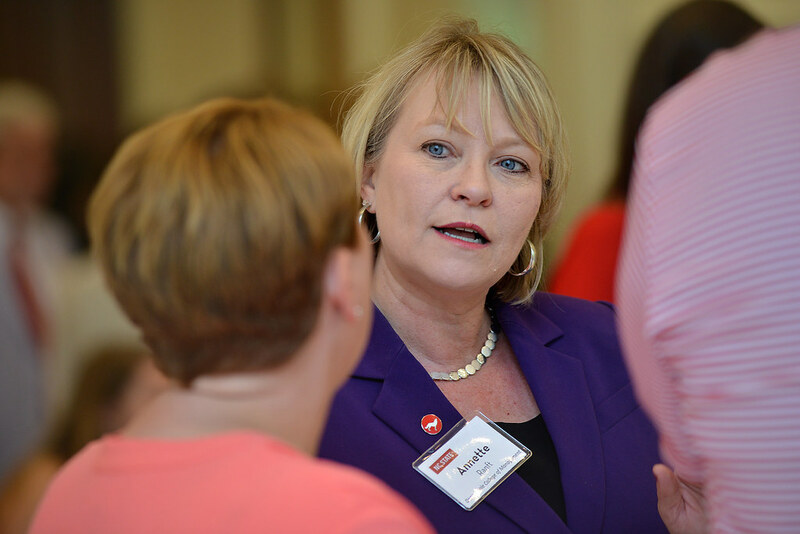 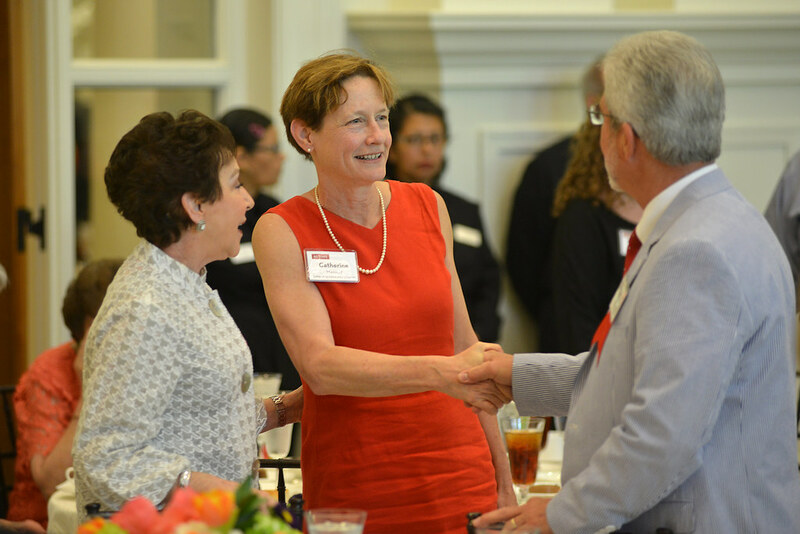 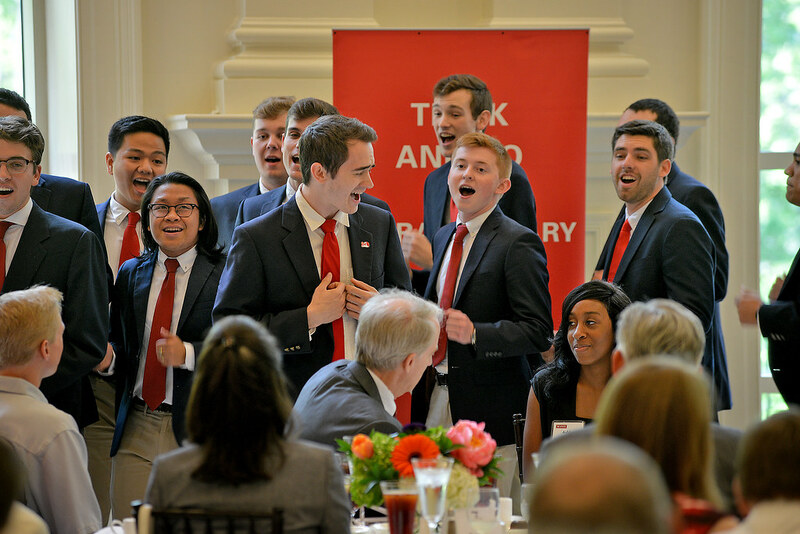 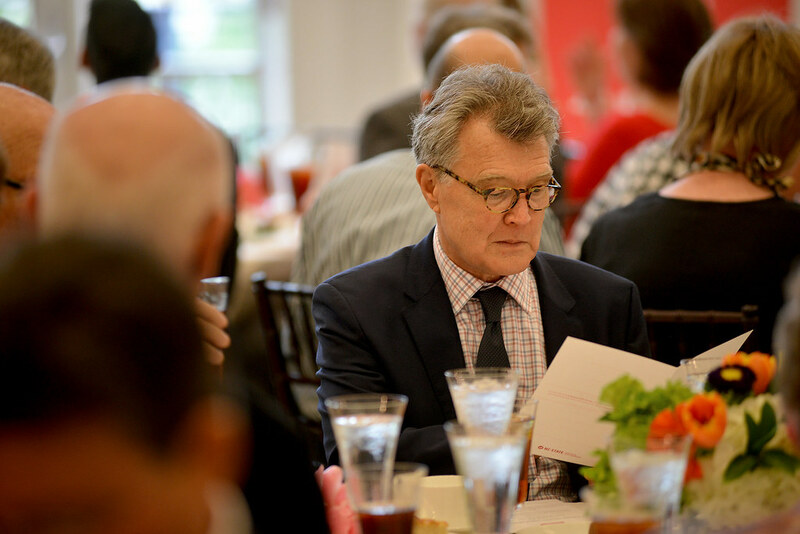 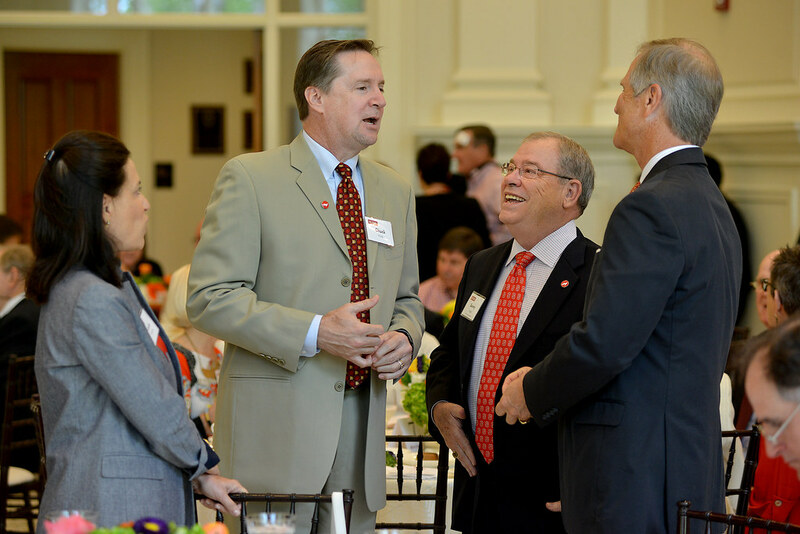 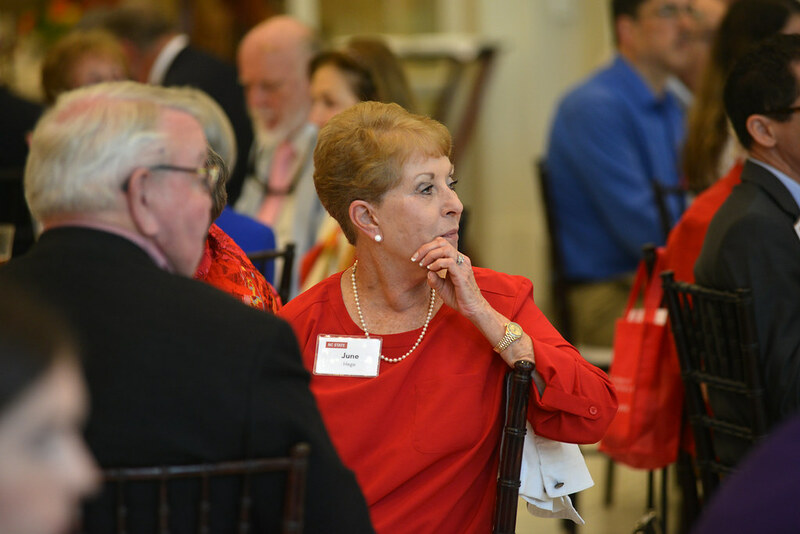 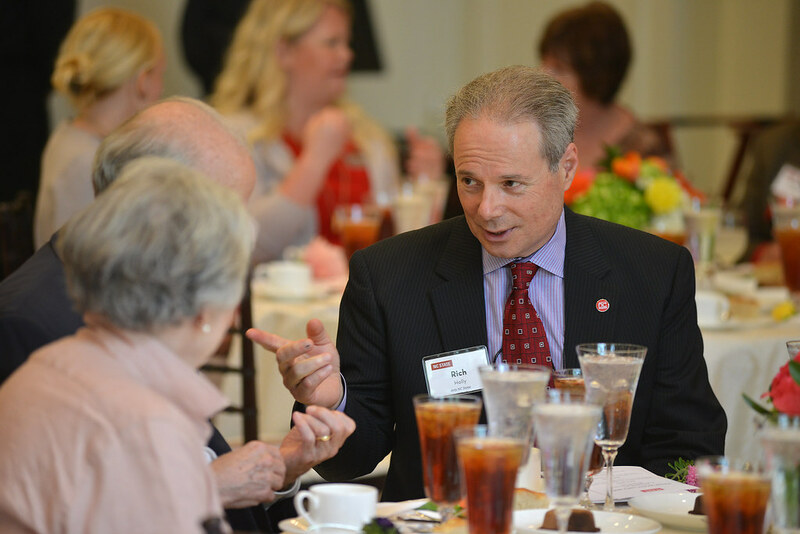 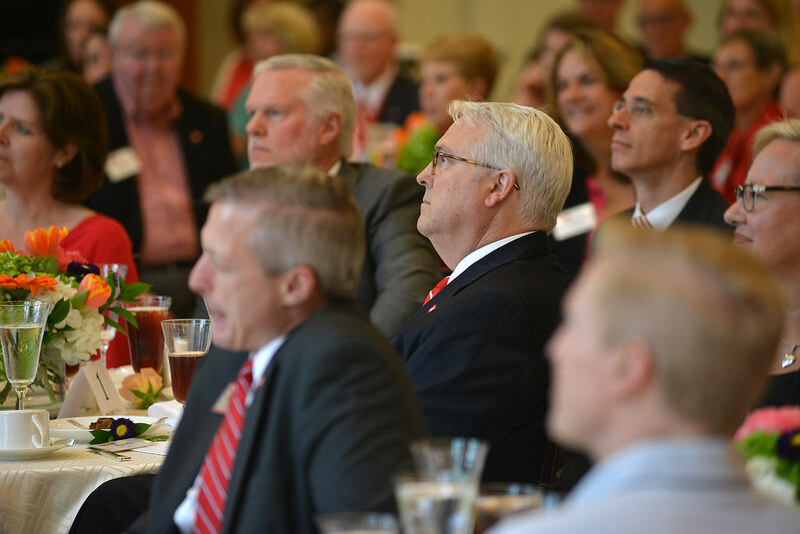 This year’s luncheon celebrated the role philanthropy plays in providing extraordinary experiences at NC State. 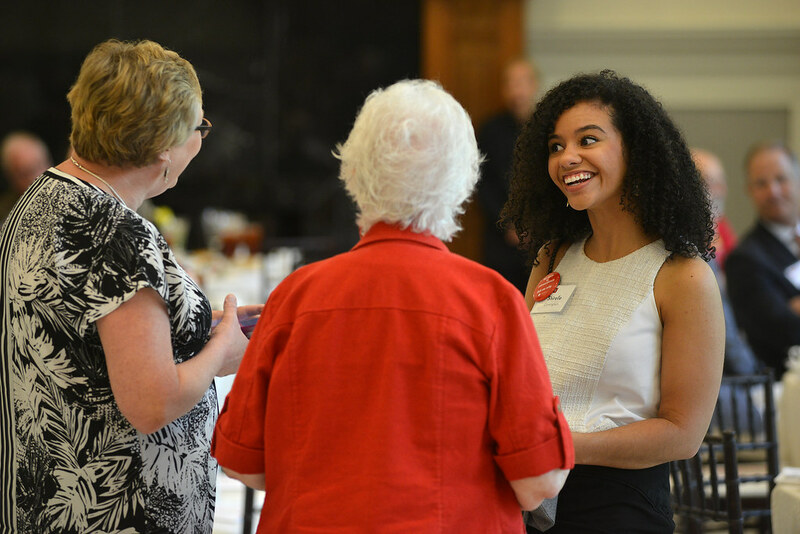 Students representing different colleges were on hand to talk with Pullen Society members about their experiences at the university — from study abroad trips and ARTS NC State to the Entrepreneurship Initiative and everything in between. 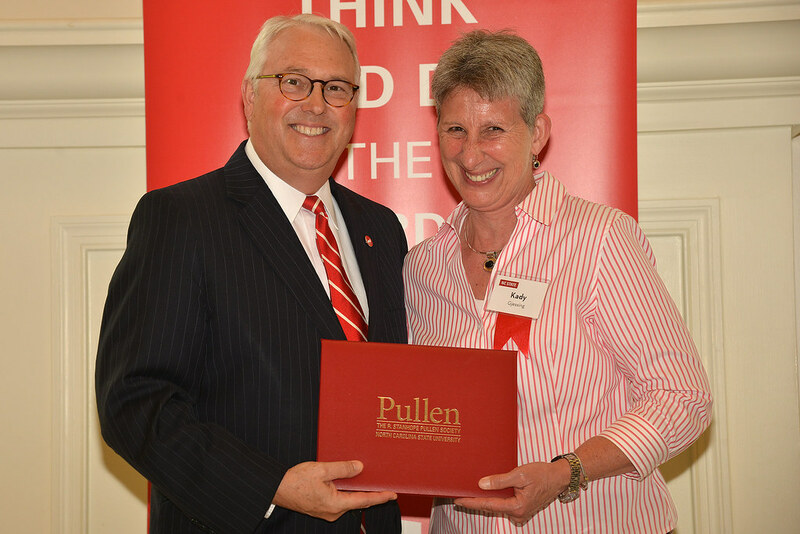 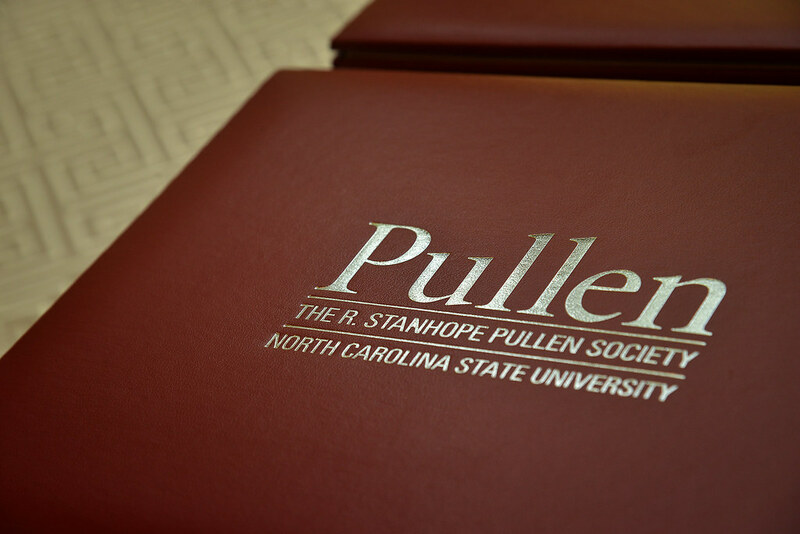 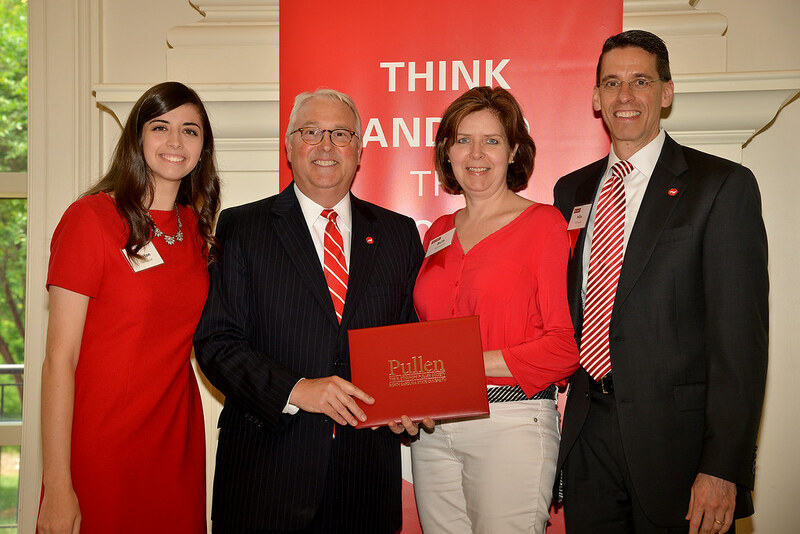 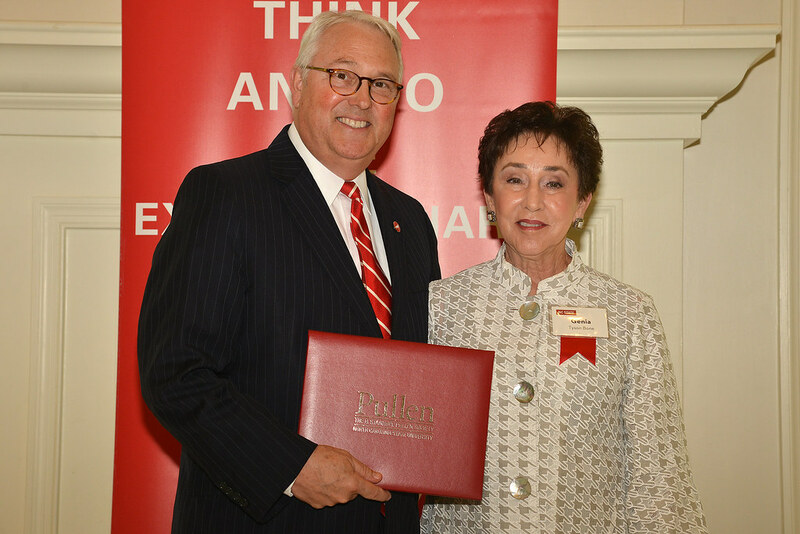 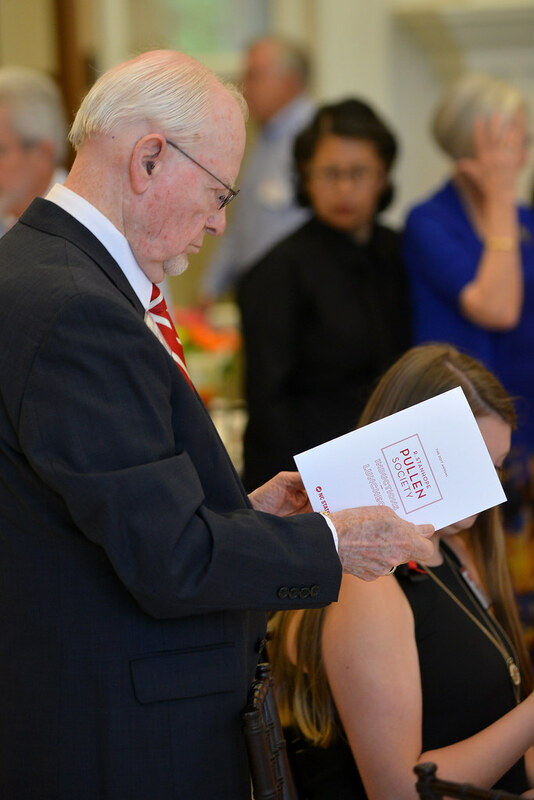 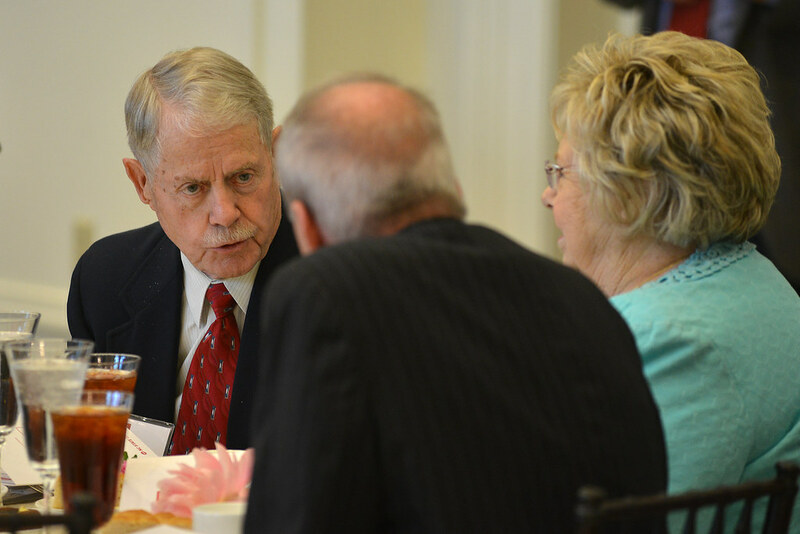 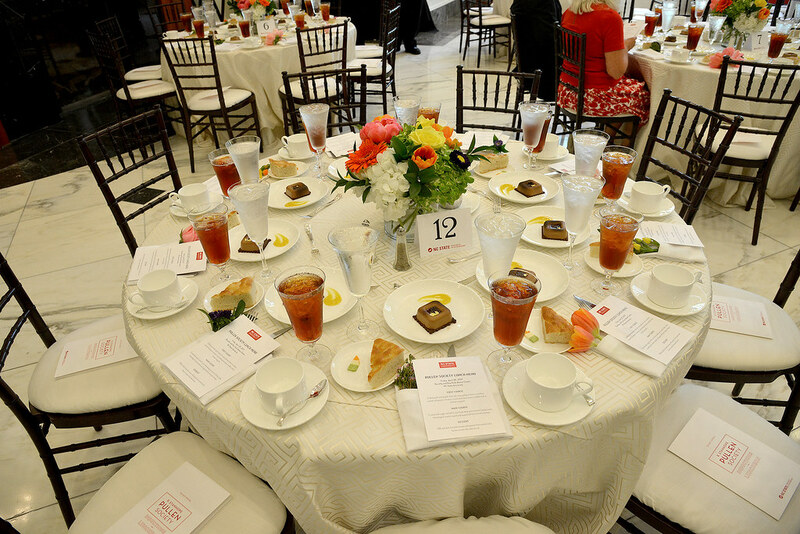 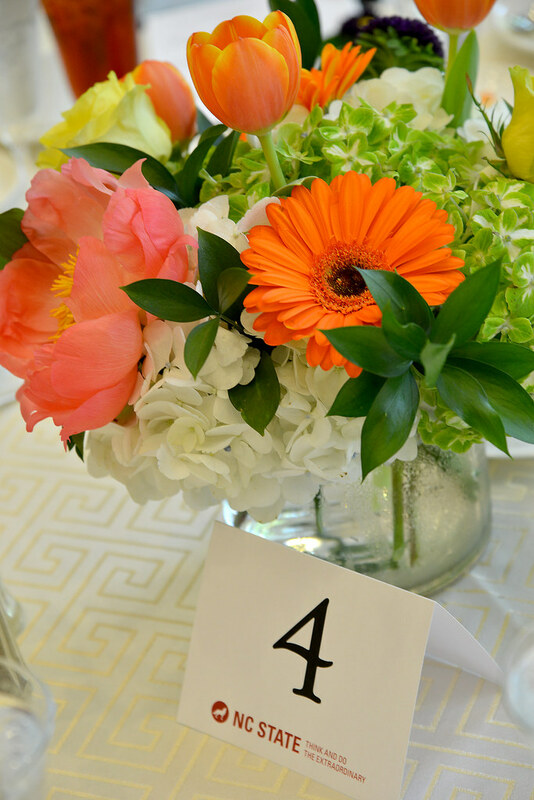 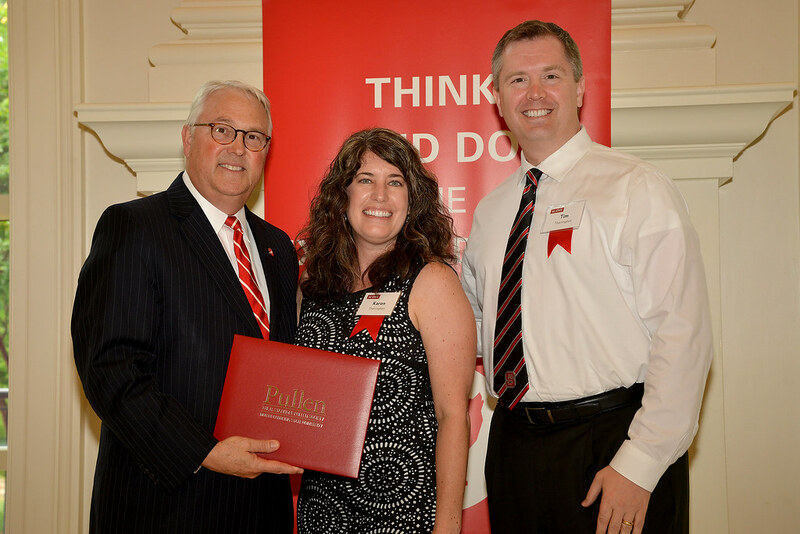 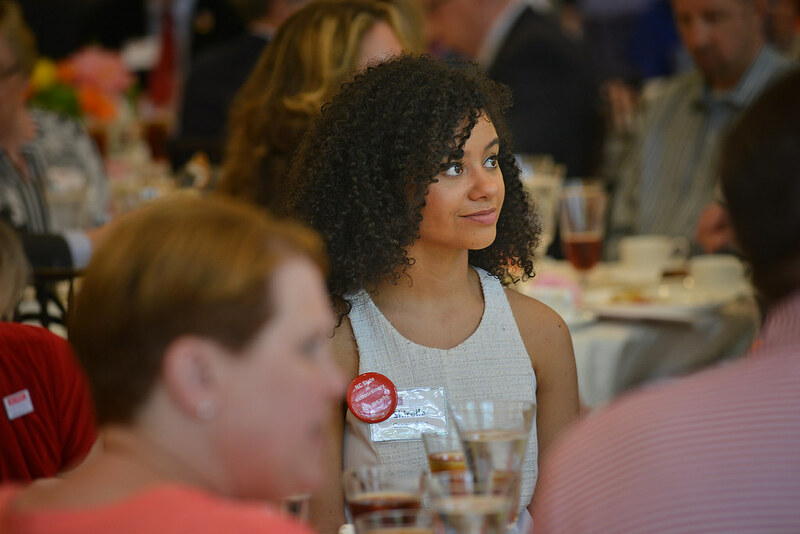 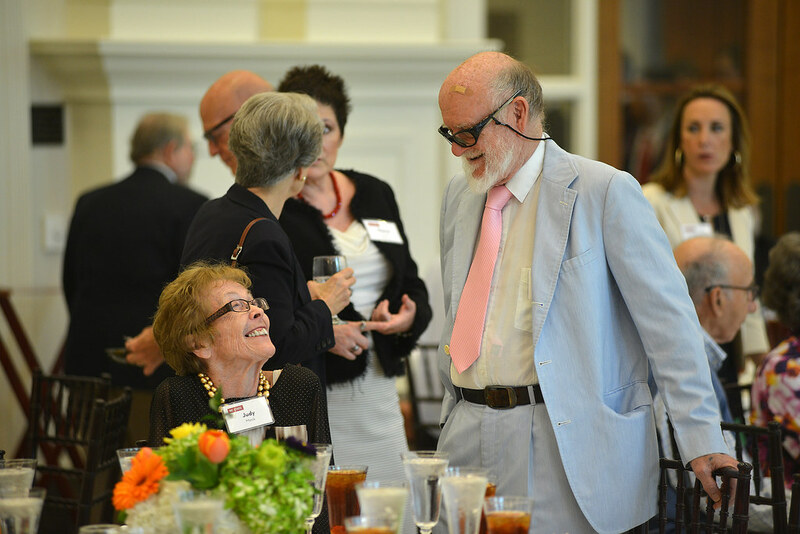 The Pullen Society luncheon took place six months after the university launched the $1.6 billion Think and Do the Extraordinary Campaign. 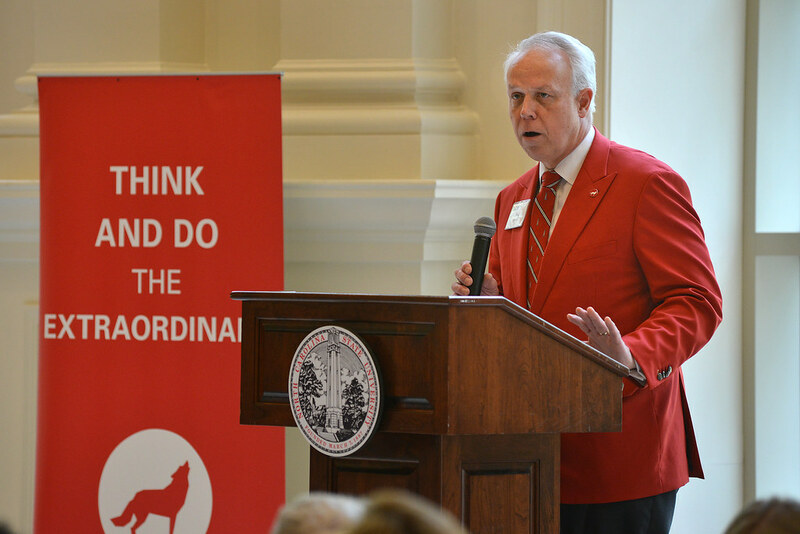 NC State has raised more than $1.08 billion toward its fundraising goal. 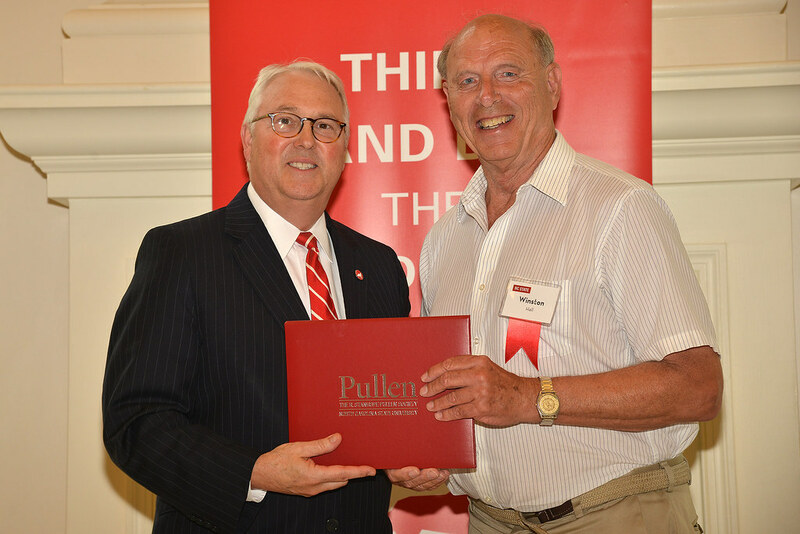 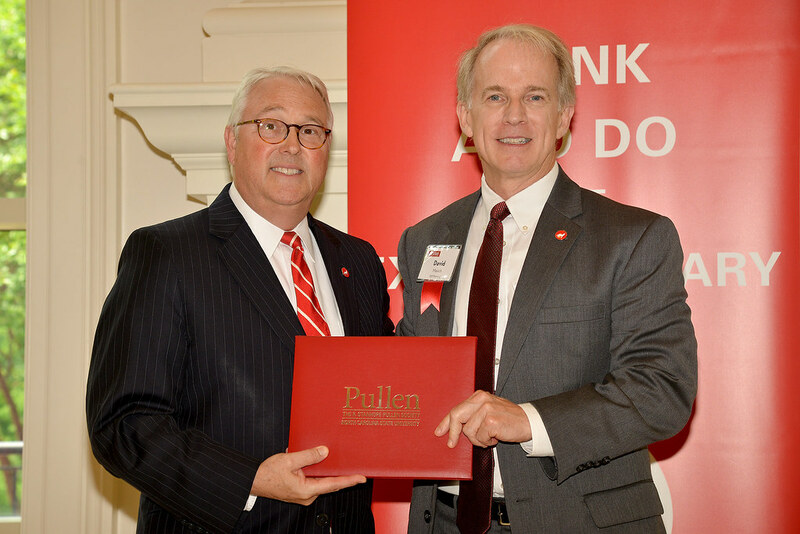 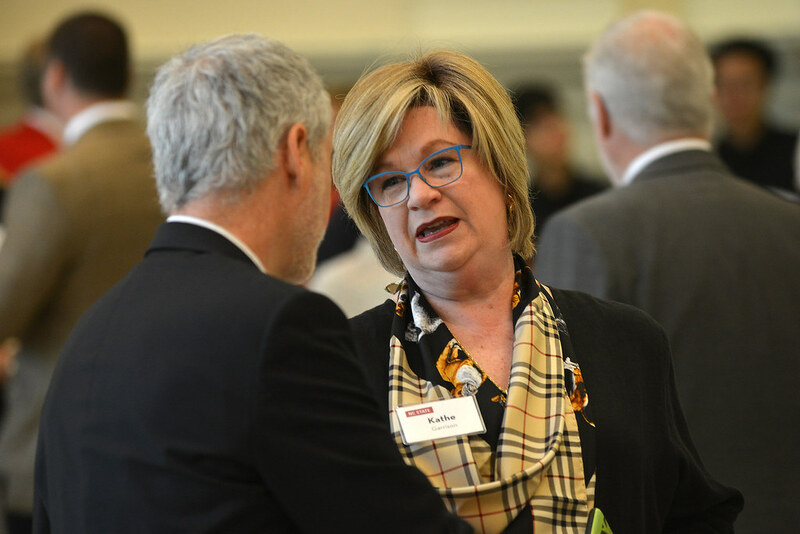 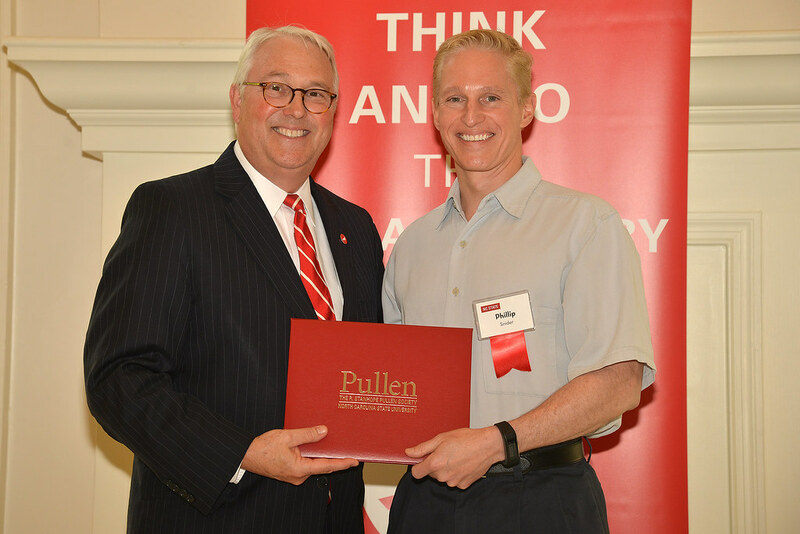 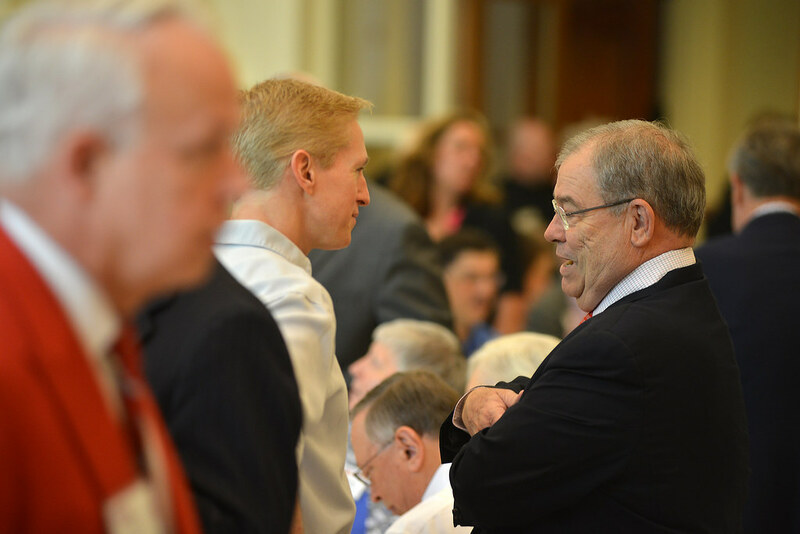 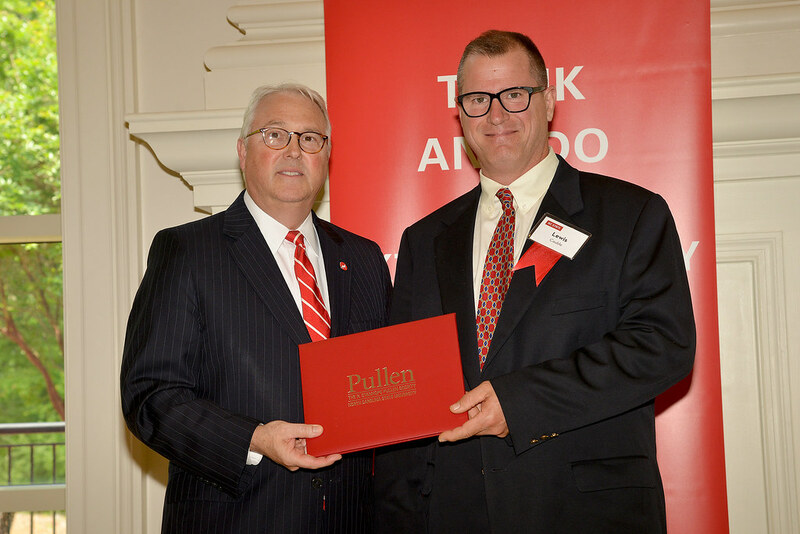 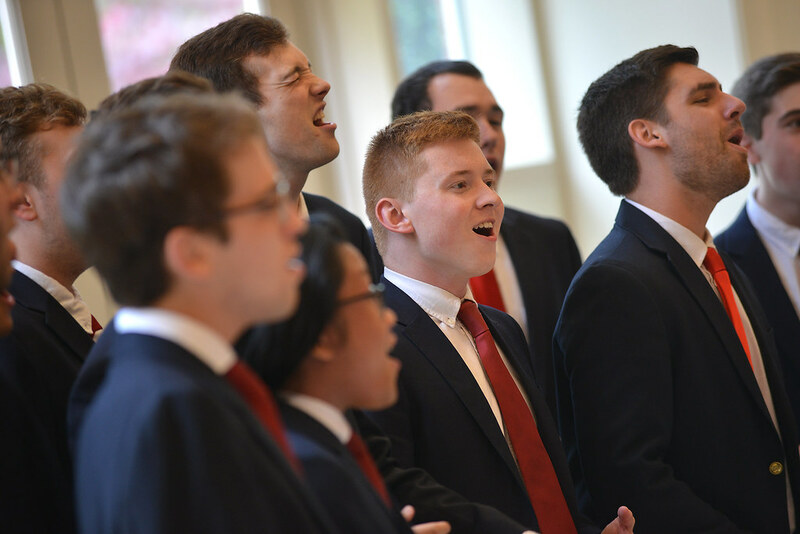 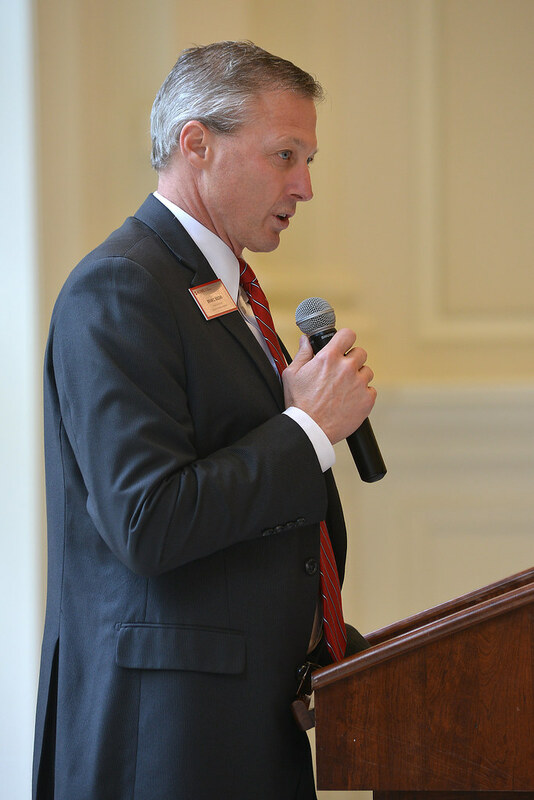 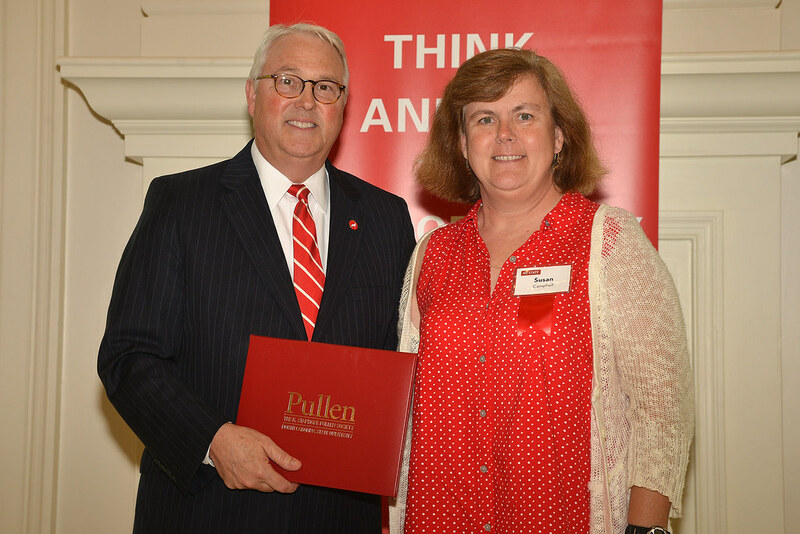 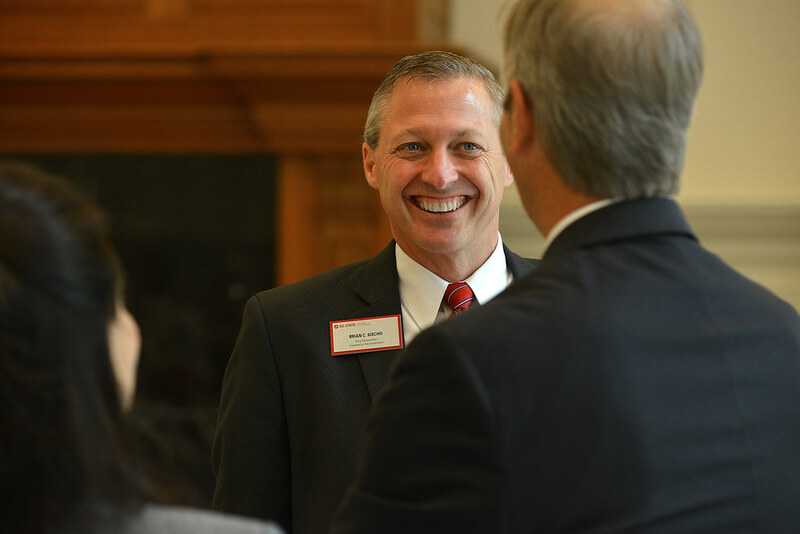 Gifts and commitments from Pullen Society members are playing a significant role in the campaign’s success, accounting for about 25 percent of the total amount raised thus far, according to Brian Sischo, vice chancellor for university advancement. 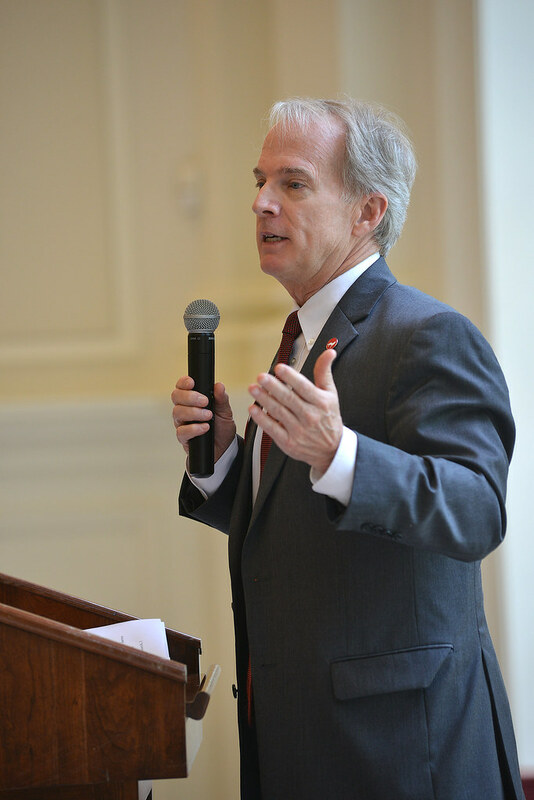 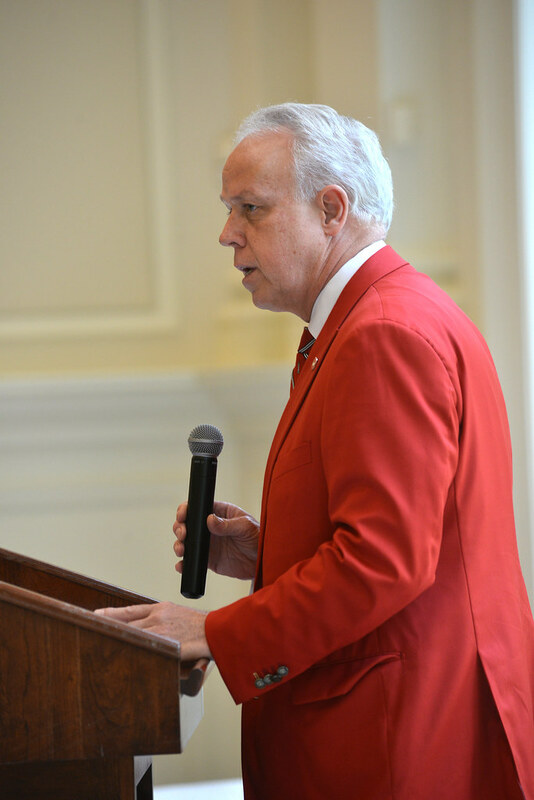 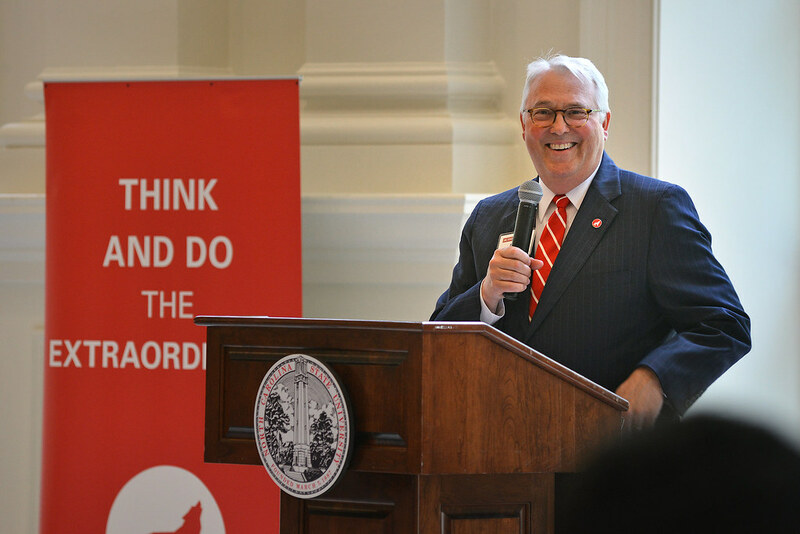 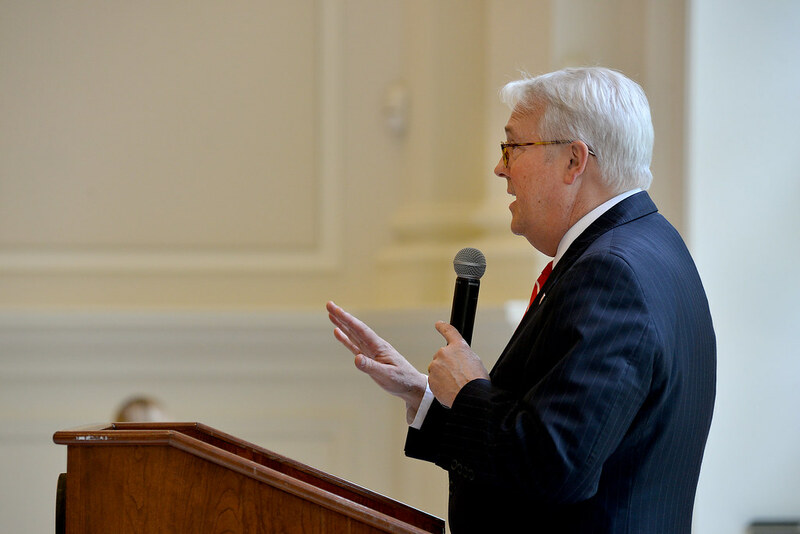 “Your investment in NC State through your estate plans, life income gifts and other deferred gifts is critical to NC State’s future and will help us unleash our extraordinary potential in the coming years and decades,” he said.